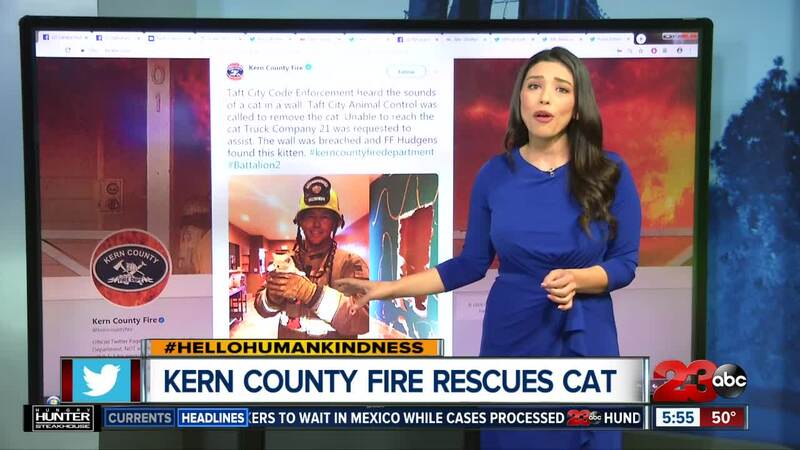 TAFT, Calif. — A kitten is safe and sound after being rescued by Kern County Fire today! According to KCFD, the sounds of a cat were heard in a wall and after Taft Animal Control were called to remove the cat, firefighters were requested to assist. Thanks to Firefighter Hudgens, this kitten was able to be freed!